TheCakingGirl: Fondant Decorating: FRUIT NINJA CUPCAKES! Fondant Decorating: FRUIT NINJA CUPCAKES! Hey guys! This is my very first time lapse cake video! It wasn't easy working with the editing program, but I'll definitely take the time to teach myself and make more videos! 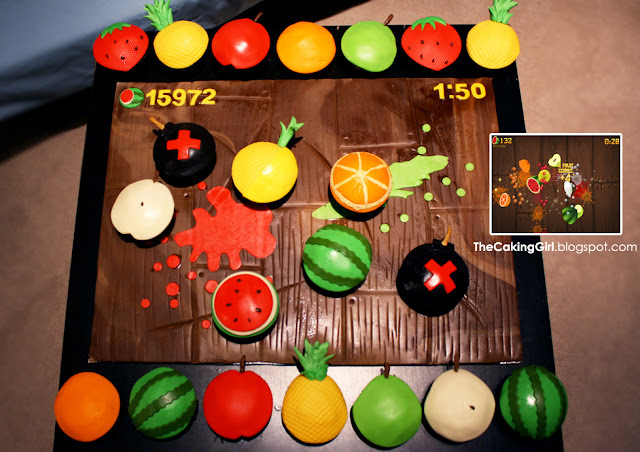 :) This cupcake theme is based on the game FRUIT NINJA for ipads and smart phones! Hey Joey!! It was so nice meeting you.